Calling all massive and crew!!!!!! 6th Birthday Bash in the finest of styles. country behind Melbourne's eminent More Fire and Pressure Drop nights. Runnings start from 8pm with $10 pressure on the door. As we always say………………Reggae music to di world!!!!! 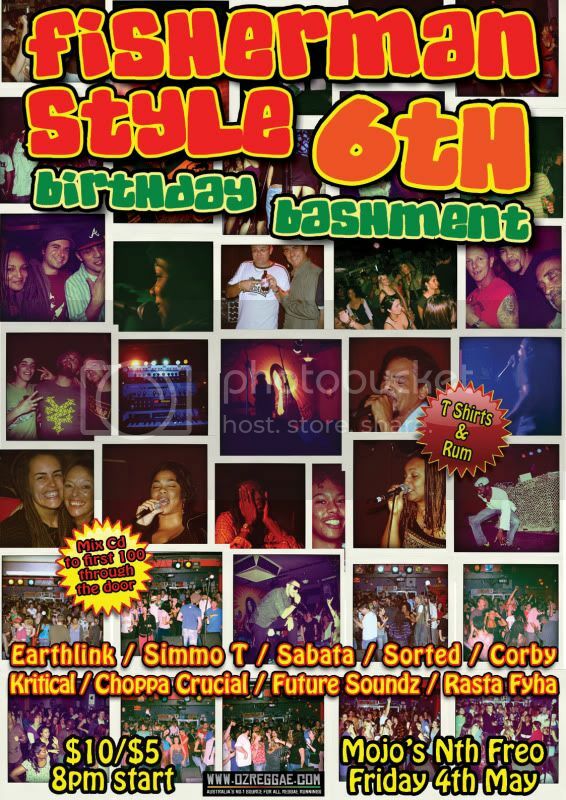 Big up Earthlink for keeping the wickedest dance in Perth for 6 years.